In this video we talked about the fundamental outline for your five minute presentation, a quetion from a friend of 30 Second Success, Kim Kennedy. There are a number of networking groups that offer the opportunity for their members to do a 5 minute presentation. 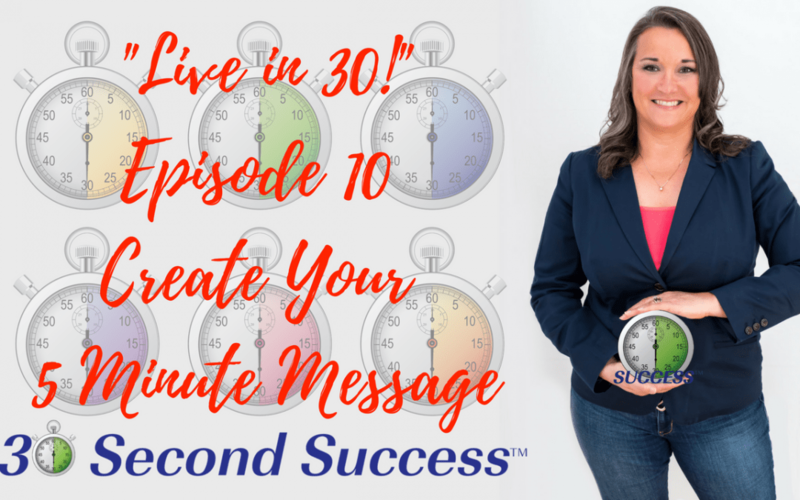 Watch the video for some great tips for crafting your 5 minute message.